While writing the first volume of my space-opera trilogy, Mecha-Soul, I decided that most of my characters’ names and of the locations would derive from the names of famous film director, actor or artist. By derive, I mean that all names would be more or less twisted so as to keep a trace but also to be original at the same time. That’s how MacGuff was born. In the book, MacGuff isn’t a character per se, but the radio ticker of a group of Orchid fighters that belong to the “Resistance”. At this stage, it’s the origin of MacGuff that I wanted to share with you. 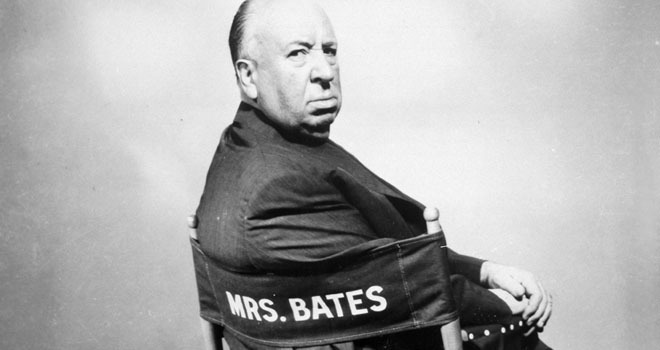 It comes straight from the universe of great director, Alfred Hitchcock, who’s conviction was that, eventually, in movies, just as in life often, the reason why people are fighting isn’t that important. Just give people a plausible motive and let them live. This is what he called the MacGuffin. If you watch Mission Impossible today or any James Bond movie, there’s always some formula or a bomb or a ‘thing’ that has been stolen and that must be retrieved. Eventually, it’s not about what’s missing, but how you’re going to solve it. According to Hitchcock, you could even afford not to mention it. Imaging James Bond being chasing the MacGuffin, or Tome Cruise’s crew attempting to defuse the MacGuffin. It’d be funny, I must admit, but in most of the cases, they’re after a formula or something that doesn’t really exist or that’s far too complicated for us to understand. From the moment we believe the importance of the MacGuffin, we kind of don’t need it anymore to follow the story. A movie, in most of the cases, is about the key question “How is he going to accomplish that?”. That’s what keeps everyone in their seats and on their toes. Love stories work the same way: we often know ahead that they’re going to end up together. But how are they going to do that? How’s he going to propose. How’s she going to react? (or the other way around!). Hereunder an excerpt from the fabulous interview of Alfred Hitchcock made by François Truffaut in 1940.